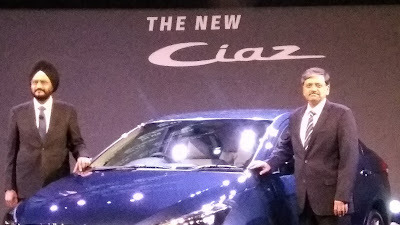 Maruti Suzuki India Limited has launched its premium sedan Ciaz, with the new 1.5 litre K15 petrol engine. The company’s next generation smart hybrid with Lithium-ion battery makes its maiden appearance in the New Ciaz. Since 2014, Ciaz became the most popular mid-size premium sedan under A3 segment, having sold over 2,20,000 units since launch. The longer-lasting lithium-ion batteries in due course is expected to replace the traditional lead-based ones in cars sold by Maruti Suzuki India Ltd. Suzuki, in a joint venture with Toshiba Corp. and Denso Corp., is in the process of setting up the battery manufacturing plant in Gujarat at an estimated investment of Rs 1,152 crore (Rs 11.52 billion). The company plans to launch an electric vehicle in India by 2020. 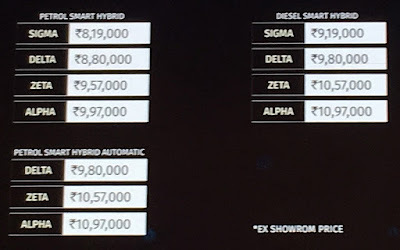 “Ciaz is the first car in India to be powered by next generation Smart Hybrid technology with Lithium-ion battery,” said Kenichi Ayukawa, Managing Director & CEO, Maruti Suzuki. “The new Ciaz cost us Rs 160 crores for new tools and dies. It is currently being manufactured at Manesar with components sourced from the same set of suppliers and on the equipment,” said CV Raman, Senior Executive Director (Engineering), Maruti Suzuki. Maruti Suzuki currently has a combined capacity of 1.55 million cars at its Gurugram and Manesar plants and its capacity in Gujarat is in the process of being ramped up from 250 thousand cars to 500 thousand cars. In a recent development, Toyota being involved with Suzuki at a global level, Toyota’s plant in Bidadi (running at 30 percent capacity of 300 thousand cars annually) is expected to be used by Maruti Suzuki to augment its production capacity in the country. • Eco illumination in speedometer which dynamically changes color based on the driving pattern. “The Ciaz commands a market share of 34 percent in the A3+ segment. With over a third of the market share, the Ciaz has been a leader in the A3+ segment for the past two years. It disrupted the entire segment,” said R.S Kalsi, Senior Executive Director (Marketing & Sales), Maruti Suzuki. The Ciaz is retailed through the NEXA network since April 1, 2017. 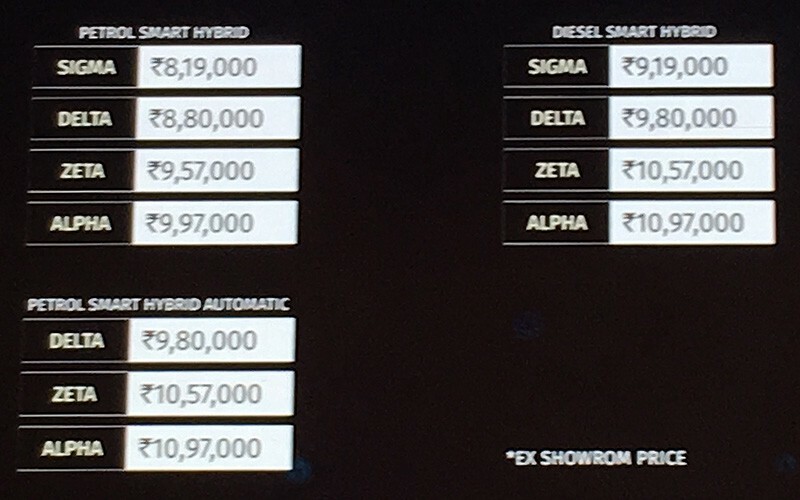 The top end (Alpha) variant of Ciaz contributes 41% of its total sales.